Quick Background: Patient was presumed to live a relatively healthy lifestyle, with normal vital signs related to cinematography, score, and production design. Patient exhibited effective atmosphere building. Patient cast Jason Isaacs. However, also directed by Mr. Gore Verbinski. Mr. Verbinski’s films have grossed 3.72 billion worldwide, therefore allowing him to make both the “highest grossing directors” list and the “overpaid directors” list. Symptoms: Symptoms manifested themselves over the course of approximately 2 hours and 20 minutes. Usually, symptoms do not need this long to manifest. Symptoms included repetitiveness, nonsensical editing, and an over-reliance on a particular character dynamic to provide perceived motivations and explanations. General laziness with regards to the last point. When asked to explain these symptoms, the patient launched into an extensive dialogue about the social ills of our time, but never quite made sense. Also entering into the record: one of our younger doctors collapsed during this patient testimony and was forced to leave the room. 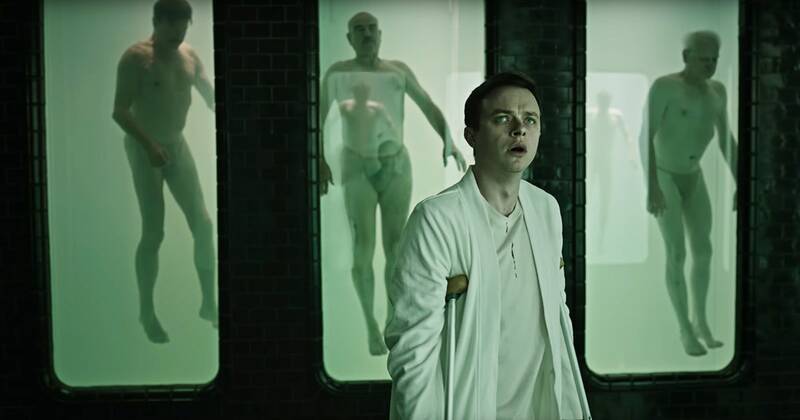 He is being monitored and treated with the trailer for A Cure for Wellness. Suggested Course of Action: Patient will be held for several weeks under intense observation. Doctors are leaning toward diagnosis of “wasted potential”. Really fun post! I’ve been curious about this. I thought the trailer was great but something still had me skeptical. Doesn’t sound like I need to rush out to see it. Thanks! Yeah the trailer was fantastic, but it did not live up to the trailer. Honestly..I didn’t think anything could be more insulting to my intelligence than ‘Sleepless’ was so far this year.. then I saw this on Wed. But curious as did they not give an embargo on review for this till the 7th? That’s what my media invite said. Don’t listen to this review. The guy thinks it made zero sense, cause well, apparentely he lacked the intelligence to understand. Is it weird. Yes. Does it lack sense? No. Not at all. Everything in the movie adds up when you decide to actually THINK about a movie for once. Thanks for your comment, but I did in fact think about the movie. I also think about many movies. This is how I write reviews. Just because everyone on yelp writes reviews doesn’t mean they know wtf they are talking about. If you were actually smart you’d have a real life. I don’t know how da faq this pointless blog showed up on my search. Aw, so sweet. Thanks. I will spend approximately zero seconds of the remainder of my life thinking about you, farewell. The movie really did have quite a few plot holes….I had to turn to the internet to explain a 2.5 hour long movie.